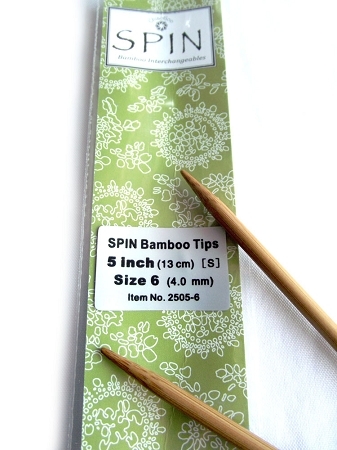 The ChiaoGoo SPIN interchangeable 5 inch "S" tips are the same bamboo needles that you know and love. Sold as 2 tips per package. The "S" tips are only compatible with other "S" products. Also, 5 inch tips are not for use with any of the cords to make 16" circulars. The "L" tips are only compatible with other "L" products. Also, 5 inch tips are not for use with any of the cords to make 16" circulars. 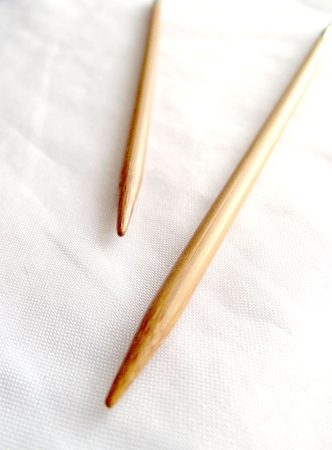 ChiaoGoo interchangeables are not compatible with Knitter's Pride interchangeables. 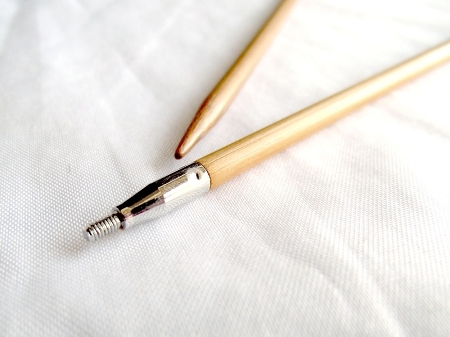 Q: Need to buy #9, #10.50 - 5" bamboo tips, but only have the "S" cords and connectors, will the "L" connectors fit onto my "S" spin and red cords? Q: Can my red S cable be used with these tips?